1) What is SEO and introduce its types? Search engine optimization or SEO is a process of keep changing the position of a web page or website in a search engine results by using keywords or phrases. 2) What are the SEO tools do you use? The SEO tools that I use are Google analytic, keyword search, Alexa, open site explorer, Google Webmaster. 3) What do you mean by Backlink? The incoming links to your website or webpage is referred as Backlink. 4) What are out bound Links? The outbound links are our website links to other webpage or website. 5) Can you tell me something about Googlebot? To index a webpage Google uses the Googlebot software. Caching, Crawling and indexing of a webpage are done through Googlebot by collecting details from that webpage. 6)What is Cross linking and what are the function of Cross linking? Cross linking is used to refer the process of linking one site to another site and provide a way to allow the accessing to it. It provides the users with reference sites that consists the content related to the search. It doesn’t need to be owned by the same person as it provides the methods that have been built on the Internet. It serves the purpose to display the page on the search engines using search engine optimization techniques and methods. The site ranking is calculated on the basis of the relevance of the sites and then it is reflected on the search engine. It uses SEO tools that provide reciprocal links and inbound links that can be used as our SEO. 7) What is the main purpose of using keyword in SEO? Keyword is a single word, and while a combination of those keywords makes phrases. These keywords or phrases are used by the search engines to populate the subjects over the internet. Search engine stores keywords in the database, and when search is done, it will come up with the best possible match. 8) Can you mention the functions of body content relevance? Whenever there is a text that does not have images on the web page is referred as body content relevance or non-image text. It helps in good optimization of the sites and also to improve your ranking in the search engine. Spiders, robot and crawler, they are all same and referred by different names. It is a software program that follows, or “Crawls” different links throughout the internet, and then grabs the content from the sites and adds to the search engine indexes. 10) What does it mean if nothing appears on doing search on the domain? On doing search on your domain and if nothing appears then there are three possibilities. The process of finding out the root word from the search query is referred as keywords stemming. 12) Name some SEO blogs that you frequently read? 13) What do you mean by Cloaking? Cloaking is a deceptive way of optimizing search. In this technique a different content will be searched by the search engine than what is presented or searched by the users. 14) How many types of Meta Tags are there in SEO and what are their characters limits? There are two types Meta tags in SEO. 15) How many characters limits in Title tag? We can add 70 characters in title tag. 16) What is Google Sandbox? Google sandbox is an imaginary area where new websites and their search rating are put on hold until they prove worthy for ranking. In other words, it checks the standard of the website. 17) Tell me something about Black Hat SEO? In order to get a high ranking in search engine result page, websites go for various methods and techniques which are characterized by two categories. One method that is acceptable by search engine guidelines is known as White Hat SEO, while the other method which is not acceptable by search engine guidelines is known as Black Hat SEO. 18) Name few Black Hat SEO techniques? 19) Can you differentiate between ‘nofollow’ and ‘dofollow’ link? Nofollow links are not passed by search engines bot and therefore cannot be cached or indexed. Dofollow link is a kind of hyperlink and it passes through all search engines and it puts an impact over page rank. 20) What is the difference between PR (page rank) and SERP (Search engine result page)? Page rank is calculated on the basis of quality inbound links from other website or webpages to our webpage or a website. SERP (Search Engine Result page) is the placement of the website or web-pages which is returned by the search engine after a search query or attribute. 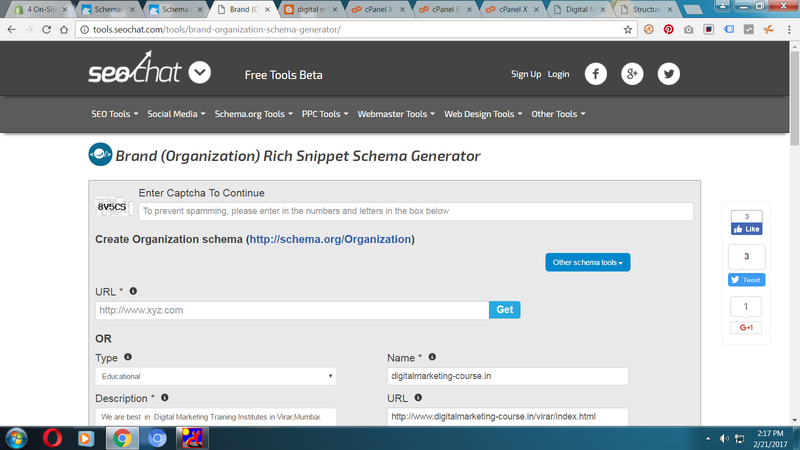 21) Why the Title Tag in website is valuable? Title tags are very essential in SEO, as it tells about the contents on that web page. Through title tags only the search engine will tell the user, what is there in the page. 22) What is considered as more significant, creating content or building backlinks? Both are necessary, creating quality content is equally important to building backlinks. Although, building backlinks are useful in building authority to a site and for ranking as well, quality content is the first element that is considered to be more responsible for ranking. 23) Can you mention the difference between SEO and SEM? SEM (Search Engine Marketing), it is used for the promotion of website through Search Engine Result Page (SERP) , while to optimize the search result of your webpage or website SEO (Search Engine Optimization) is used. 24) What do you know about LSI? LSI stands for Latent Semantic Indexing. This technique is established to obtain the data by relating the word to its closest counterparts or to its similar context. For example, if you are searching something with a keyword “CAR” it will show all the related things like classic cars, car auctions, Bentley car, car race etc. 25) How will you cross-check whether your SEO campaign is working or not? To check whether your SEO campaign is working or not, the first approach is to check the websites statistics, which tells you about the origin of traffic. The other way of checking is to make a search based on the relevant keywords and key phrases and look for the search result. The number of search result will tell you whether your SEO campaign is working or not. 26) What is the meaning of competitive analysis? Competitive analysis does the comparison, between the website I am optimizing, and the website that is ranked highly in search results. 27) What will be your next steps if your SEO methods or technique does not work? Firstly I would try to see whether it is a new project, and then like to re-check the key words. Also, I would look for relevant key-words that can be helpful. Even though the webpage and website has been indexed well and still not appearing on the first 10 pages of search engine result page, then I would make some changes in page text, titles and description. If website is not indexed well or dropped from the index, than it might comprises serious issues and re-work might be required. PPC stands for Pay Per Click and is an advertisement campaign hosted by Google. It is segmented into two modules CPC ( Cost per click) and CPM ( Cost per thousand impressions) through flat rate and bidding respectively. In CPC, if the user clicks on the advert, only then the advertiser will be charged. 29) What is 301 redirect? It is a method by which the user is redirected to new page url to old page url . It is a permanent redirect and it is also useful in directing link juice to new url from old url . 30) What are Webmaster tools? Webmaster tool is a service provided by Google from where you can get backlink information, crawl errors, search queries, Indexing data, CTR etc. 31) What is keyword density and what is the formula for knowing keyword density? From SEO point of view, keyword density will definitely help to stand out your content from others. The formula to know the keyword density is ( Total number of keyword/ total number of words in your article) multiply by 100. Robots.txt is a text file. It is through this file, it gives instruction to search engine crawlers about indexing and caching of a webpage, file of a website or directory, domain. 33) What will you do, for the company website you are working for, decides to move all the contents to new domain? The first step would be to update the previous site with a permanent redirect to new page for all the pages. After that, I will remove the previous content from search engine in order to avoid duplicate content issues. 34) Can you optimize the website which has pages in millions? From SEO point of view, for dynamic website, special additional SEO stuffs have to be implemented. 35) What is the latest update in SEO? 36) What are the key aspects of Panda update? Panda is to improve the search in Google. The latest version has focused on quality content, proper design, proper speed, proper use of images and many more. 37) What are the key aspects of Penguin update? Penguin is the code name for Google algorithm. Its main target is to decrease the ranking of that website that are violating the Google Webmaster guidelines. These guidelines are violated by using black hat techniques like cloaking and stuffing. 38) How will you neutralize a toxic link to your site? Through Backlink Quality Checker you can know who links to your website. Now, you have to go to ‘ Toxic link’ report, where you will find all the links, that are harmful to your websites. If there is any link in ‘ Toxic link report’ that matches with the link on your website, then you can remove it by using ‘Google Disavov tool’. What does a canonical tag do? A canonical tag specifies the source URL (or original content page) of a given page to a search engine such as Google. Canonical tags are used to declare a single page as its own source or for duplicate pages to reference their source / originating page. Search Engines use the canonical tag to combat duplicate content issues and assign search engine ranking value for that content to the page designated as the “source” URL. Why do canonical tags matter? Duplicate content is a big no-no to search engines. Having pages of identical or very similar content on your website is seen as a negative, and may be used by Google to devalue your website when determining rankings. If you use https on your site, utilize a content management system like WordPress or Drupal, or run an eCommerce website, the combination of different URLs people can use to access your website opens you up to a major SEO vulnerability if not properly addressed. By properly employing canonical tags to pages on your site, you can avoid this pitfall and take full advantage of both a robust site and streamlined Search Engine Optimization practices. How do I apply a canonical tag? If you set your preferred domain as https://example.com, Google treats links to https://www.example.com exactly the same as links to https://example.com. Read Set your preferred domain for details. · Mark up the canonical page and any other variants with a rel="canonical" link element. Avoid errors: use absolute paths rather than relative paths with the rel="canonical" link element. 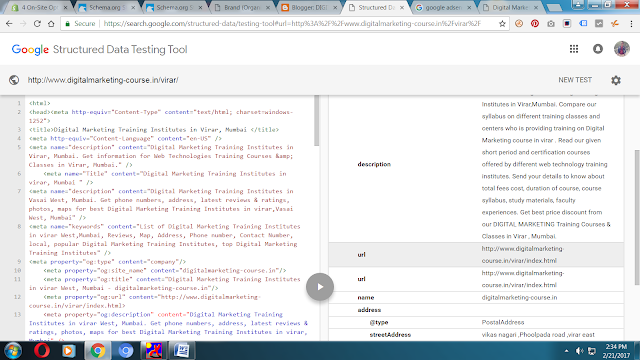 Before starting about schema Markup get details about what is Structured data & Linked data ? In computing, linked data (often capitalized as Linked Data) is a method of publishing structured data so that it can be interlinked and become more useful through semantic queries. It builds upon standard Web technologies such as HTTP, RDF and URIs, but rather than using them to serve web pages for human readers, it extends them to share information in a way that can be read automatically by computers. This enables data from different sources to be connected and queried. Structured data refers to kinds of data with a high level of organization, such as information in a relational database. When information is highly structured and predictable, search engines can more easily organize and display it in creative ways. Structured data markup is a text-based organization of data that is included in a file and served from the web. It typically uses the schema.org vocabulary—an open community effort to promote standard structured data in a variety of online applications. What is Schema Markup ? Schema markup is code (semantic vocabulary) that you put on your website to help the search engines return more informative results for users. For the Product schema, only the “name” property is required. For the Offer schema, the “price” and “priceCurrency” properties are required.